BOMBSHELL: NSIMA EKERE DARES AKPABIO "I WILL PROBE AND PUT YOU IN JAIL ONCE I AM ELECTED"
In a moment that shocked and confounded the crowd at the APC mega rally which took place over the weekend, in Ikot Ekpene, Nsima Ekere the all-but certain APC gubernatorial candidate for the 2019 gubernatorial election declared that if elected, he will probe the Godswil lObot Akpabio administration and put him in jail. Speaking through the National Vice Chairman of the APC, South south, Ntufang Hilliard Etta, the APC leader, boldly proclaimed that the PDP administration was a “419” administration and will be brought to justice. He promised the crowd that once APC is elected in Akwa Ibom State, they will go after the administration of Godswill Akpabio and put him in jail. It was a moment that got even the APC supporters from the Akwa Ibom North West Senatorial Districts squirming in their seats and wondering if the interest of the Annang Nation will be protected by the APC under the leadership of Nsima Ekere. “I was shocked and angry” a top APC supporter who wished to be anonymous had stated “like him or hate him, Senator Goodwill Akpabio is the pride of Annang land, a leader who has worked to put the Annang issues and concerns in the front burner of the State and national politics. We adore and respect him. For Nsima Ekere to stand in the cradle of Annag politics -Ikot Ekpene and tell the world he will jail our leader, is totally unacceptable and will never stand. I will never support APC again, they can come and take their broom” the party big wig had concluded. All over the venue, majority of the people from the Senatorial district were aghast and angry with Nsima Ekere. “I am glad God opened his mouth to speak the truth today, if he had pretended to be a friend of the Annag Nation, we would have believed that he truly meant well. 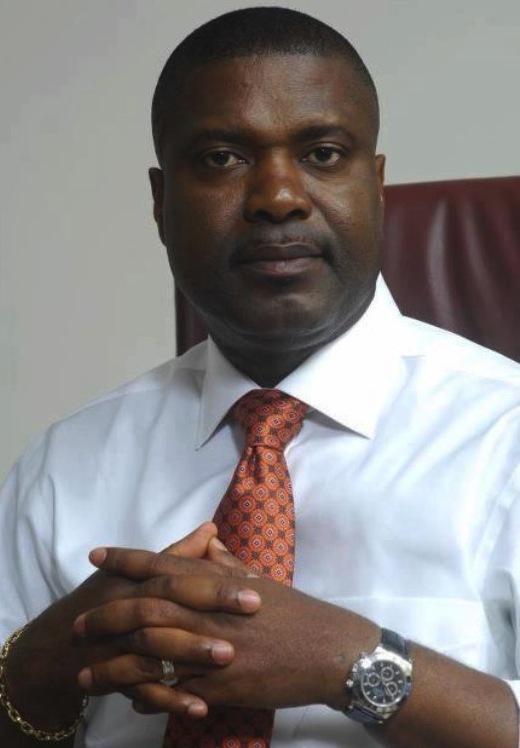 Nsim Ekere and his APC is dead in Akwa Ibom North West Senatorial District (Ikot Ekpene}. He cannot insult our illustrious son and hope that we will all clap for him. I was shocked that Don Etiebet and other Annag sons could sit there and listen to our leader being threatened with jail and they didn’t condemn such an insult. From last weekend, as a proud Annang son, I will be campaigning for the PDP, which I never supported before.